Welcome to the San Jacinto County, Texas USGenWeb Project Genealogy site. We are Billy and Carla Karbowski Clifton and have adopted this site as part of the TXGenWeb Project. If your society would like to assist with this site, please email us to discuss details. It is our goal to provide you with a great source for genealogical information on San Jacinto County, Texas, so continue to visit our site on a regular basis and watch us grow. If you would like to volunteer to assist in some way, please email us for information. 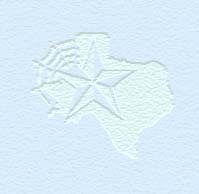 A must see site for more Texas genealogy resources! For more information about the TXGenWeb Project click here. I would like to thank and acknowledge John Beeson for all the work he is doing to provide information on San Jacinto County.